Poisonous house plants are not recommended for indoors (or outdoors for that matter) especially when you have curious children or pets present. 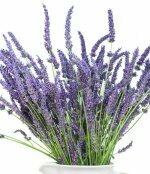 Some plants can cause allergic skin irritations, throat swelling, gastric disturbances--even death if ingested. Fortunately, most plants must be consumed in large quantities to be fatal. The unpalatable, bitter taste and mouth-burning sensation should prevent these plants from being eaten in large amounts. If you have plants in your home be aware of which plants are potential hazards and take measures to eliminate the risk of accidental poisoning or mishap. You must place them in areas that not accessible children and pets. Inform children of the dangers of certain plants. There are plants that have certain parts that are toxic and for some plants all parts are poisonous. Remember to wear gloves when handling toxic plants and wash hands thoroughly if hands come in contact with the sap. Avoid rubbing eyes while working with plants. The seeds of Rosary Pea and Castor Bean plants are lethal. Deaths have been reported from the ingestion of just one seed of this poisonous house plant. If a young child or cat chews on one of the leaves they are sure to get sick. Necklaces that are made from the seeds of this plant should not worn by children and can cause skin irritations in adults. Parts of the Oleander plant (the leaves and bark) are also poisonous. It is not worth the risk to have these in the house. Even with due diligence children or pets are bound to get into a houseplant at one point or another. It is hard to safeguard against falling leaves or other unavoidable events. The The flower bulbs of the Hyacinth, the Daffodil and the Narcissus flowers are considered poisonous too. Even if you are planning on planting the bulbs outside, be careful to keep them stored in a safe area that is not accessible to little kids. Do not plant near food because they can be mistaken for shallots or onions. If eaten, they can cause intense stomach distress, high blood pressure, and irregular heartbeat which could be fatal. Plants such as the dwarf umbrella tree contain calcium oxylate crystals within the plant cells. This fine, needle-like substance will cause serious irritation and swelling in the throat and intestinal tract if eaten. When poisonous plants are eaten or mishandled, there may be signs of skin irritations, vomiting, drooling, tremors or abnormal behavior. 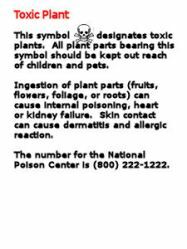 If you suspect your has child eaten or mishandled a toxic plant call 911. If your pet show signs of illness call your veterinarian immediately. 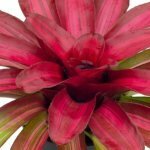 You can find a more detailed list of poisonous house plants to cats and dogs at the Petfinder. You should know the common name for your both the common name and the scientific name. This is important because the scientific name will always be the same but the common name can be different, depending on where you live.